Suddenly, I am standing still and the international whirlwind that has been my life is distilling into musical expression. I knew it would. I am surprised it took so long. Last February I landed again in Mumbai, where the concept, the creative partner and the material for my next album started to emerge.. I've been working on an album that bridges the musical and cultural gaps that I often find myself in, one that expresses this journey towards wholeness. I suppose I had to first reach some level of understanding and personal alignment before it was possible. I am blessed that Ken Shorley, my long time collaborator joined me in Mumbai and has thrown his heart and brilliant mind into this work with me! In 2006 I went to Mumbai with my professor Denise Nuttall to learn Indian music. She introduced me to Ustad Sultan Khan who first put a sarangi in my hands. Sabir Khan taught my first lessons and their dedicated musical family inspired me tremendously. What happened there has shaped my last 12 years in the most unexpected ways and has brought me many times to that amazing city. In India I strive for something that I have wanted since childhood, to learn Indian music. 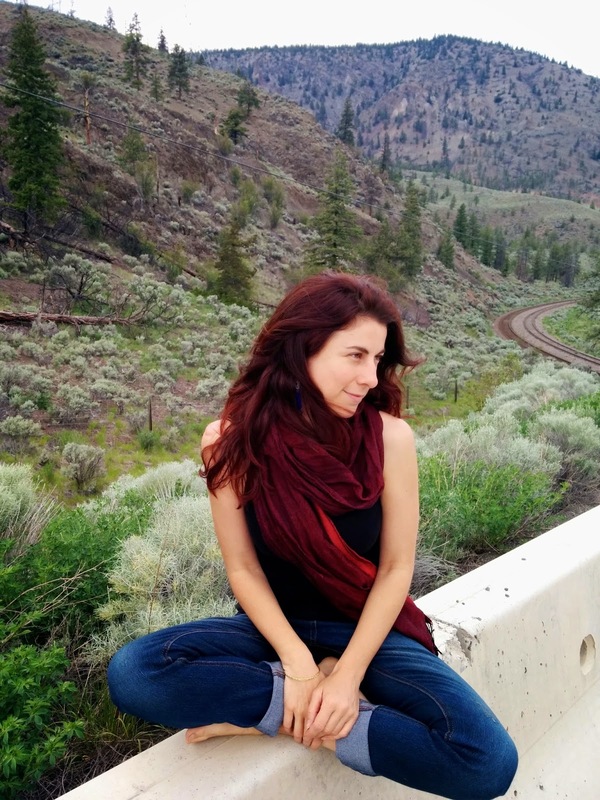 In Canada I have worked to deepen my songwriting and to continue my career as a performing musician. Ensembles have come and gone, I got a degree, tours happened.. and my refuge between the worlds has been a quiet room in Amsterdam where my musical mentor Joep Bor has given me space, guidance and perspective on all that was going on. As well as sarangi, Joep has been teaching me raga as it was taught to him by his teacher Dilip Chandra Vedi. It has changed my life and opened my mind. It was in Amsterdam that I first wrote Worlds Apart. In that song I blended raga and songwriting. It was inspired by the families I grew up in, Afghan and English Canadian, by the cultures that separated us and the love that bonded us. It was also inspired by loving someone in another country regardless of vast misunderstandings, and it was a tribute to a beautiful friend who was killed in a way that defies reason entirely. Our minds separate us, our hearts bind us. I wanted to write it all in a song. I wanted to sing in Indian Raga supported by Western chords, I wrote it in Amsterdam and it was healing for me. I performed it quite a bit.. Here comes the head trip for me though... Now that I am recording this album, I want it to be the best it can possibly be. Studying music in India may sound romantic, but any student of classical music can tell you, it is a mountain of effort.. and you are generally at the bottom of that mountain.. for most, it is a long slow climb. A big part of learning a new language or culture or musical style is forgetting what you know, what you once held as truth. Luckily I have had guides on that level too.. Reading Krishnamurti’s lectures, meditation with Panda Chi, and Mooji satsangs have helped me to stay grounded in what is true, without interpretation, without desire, without manipulation. Music lessons with our beloved teacher Pandit Dhruba Ghosh helped too. He focused on deep listening, the kind that lets you hear not only your own accent, but your own assumptions and conditioning.. all that comes between you and the perfect tone.. sigh.. he is deeply loved and deeply missed. He led me to a clarity of experience and freedom of expression that is not possible when there is any clutter in the mind. I needed them all, these great teachers of truth, to finally see that my song had not reached its potential. It was full of mental blocks, it was written before I had the skill or understanding to write the song that I wanted to write. I sang it publicly and some loved it, but I was always aware, if I was honest with myself, that the audience was only half with me. I wanted the album we are making to be called Worlds Apart, because the song means so much to me. But I also felt that the song needed to be reworked. It had a Celtic style guitar and Indian tabla accompaniment, English lyrics and occasionally it broke into raga Alhaiya Bilaval. So Ken and I worked on it, we took out a verse to make it more concise, we shortened the intro, and then took it away entirely, we tried different speeds.. but still I felt something was not right.. so we took a break and walked through the lovely nature trails that surround our little A-frame studio here in Nova Scotia and lead eventually to an organic coffee shop. On that walk I asked Ken for his honest opinion. I told him about the nagging feeling I always had that the song did not land where I wanted it to, that it did not fully express my intentions.. and that I was thinking of cutting it from the album. Then he gave me the honest answer that I needed to hear. Ken first heard the song years ago and since then, has learned it and performed it with me. But he told me that the first time he heard it, he felt the struggle musically, like there was an abrupt change between the Western and the Indian styles. And I realized that yes, when I wrote it, my understanding of Raga was still very basic. I had not yet had the experience of Raga speaking through me, not as a learned series of notes and phrases, but as the teacher itself unveiling its own unique character, separate from the mind of the musician. I was still in a very western box, unable to compose in raga. I simply switched between two styles in one song and called that a blend. I realized in that little walk and honest discussion that in order to save the song from being cut entirely from the album, I had to start it again from the beginning. In some way, the song has been a companion through this musical journey.. but it got stuck in a moment of time when I was still living two separate lives, East and West, unable to connect them, but so desperately wanting to. I had learned in early childhood to separate my behaviors and even my thought patterns to suit the situation and culture that I found myself in. My desire to write fusion music is connected to my desire for inner unity. I thought this song reflected that, but it was only in its first draft. I had not yet made the journey myself. Since that conversation on the trail, I started again. I was able to let go of the composition and reconnect with the original intent, and Ken also had to forget his understanding of the song as it was. We cut both the guitar and the tabla. I switched ragas and changed the tune from Alhaiya Bilaval, a raga that corresponds to a Western major scale, to Raga Pilu, a mixed raga which uses a number of magical movements between what the West would call major and minor scales. In Pilu, I could express the sentiment more perfectly and let the whole song be inspired by the raga instead of switching in and out. And Ken made the most amazing accompaniment. He created a drone out of a synth patch, and made a set of electronic loops that use Indian rhythmic patterns, adding to the cultural mix a beautiful blend of past and present. Now we both love the song again, and it will make it onto the album. Some deeper unity has been realized inside of me as a result of this process. It is a reminder of the danger of calling something finished, or known. As our perspectives develop, we can look at our work and ourselves and make the necessary adjustments to reflect our growth.. instead of sticking with something because that is the way we always did it. These last twelve years have been a wild ride. Making this album allows me to settle in for a moment and catch up with myself. I am now able to see the Worlds Apart, without being the Worlds Apart. I am grateful for all that has led me here. This year I am in the process of writing for a new album. The music is international and self reflective, electronic and acoustic, inspired by Indian music studies, a lot of travel, and a constant desire to dance and enjoy life! Other than the dancing part, this video has really nothing to do with the upcoming album! In the midst of preparing for that project with Ken Shorley, we met Rahul D'lima, an extraordinary dancer and teacher based in Mumbai, India. He helped me realize my lifelong dream of being able to tap dance. On the last weekend that we were in Mumbai, we recorded this video. Just days before, I came across this song that I had written in Goa last year and completely forgotten about. Suddenly all the elements were there.. a fabulous tap dancer, Ken's camera and recording set up and a song to suit the occasion! Check it out on Youtube; Come Dance with me!! 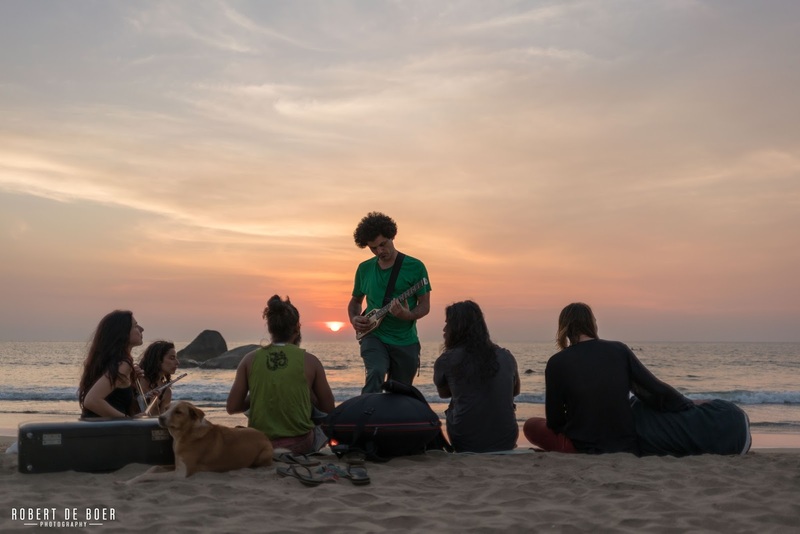 In Goa, there is an international music scene, this play of people who may or may not understand each other's musical phrasing, language, training or approach, but we share a love for the exploration. The performances are perhaps most powerful for the musicians as we see our assumptions and expectations of each other most clearly in the musical 'failures', which can create chaos and confusion and then lead to places no one could have imagined on their own. The key is to stay with it, to become aware of how each of us lives inside a set of codes, how even in our improvisations, we are bound by forms. Forms that are real inside our own heads, but mean nothing to a player from another tradition. How able are we to let go of the structures we know? The measures, the rhythms, the cycles, the talas the ragas, the words... How willing are we to say yes instead of no? To affirm another voice from another place and co-create the presentation? From the audiences, there is an openness, as everyone becomes aware that anything can happen. I'm talking about the jams. The embryo stage of what we are calling these days, "fusion music". It takes time to find the center, to develop. It takes deep listening to each other and ourselves. It takes a lightness and a letting go. It can be absolutely magic. When we let go of what we wish would happen, or what we are trying to create, and allow the flow to happen. Allow ourselves to be truly present. Nothing exists outside of this note, this breath, this phrase... This is music. This happens when culture, training, desire and expectation are paused. This happens a lot in Goa. Thank you to all who have shared with me and taught me so much. Immediately after I left Banff, Ken Shorley and Heidi Kalyani met me in Victoria where we started a tour of the beautiful West Coast with Blue Lotus Trio. We played in the loveliest of spaces, yoga studios, halls, homes and community centers. It was a magical experience touring around the islands of BC and meeting such wonderful people! Then I was joined by my long time friend, Daunt Lee. We used to hang and play music and build guitars together in Newfoundland when we were just starting out. Now after both of us have spent many years in Asia, (he lived in Japan) we are back in Canada and playing music together! And what a Joy! We toured across Canada, reconnecting with dear friends both old and new, playing in wonderful venues and creating a new show together. On coming home to Nova Scotia, I taught a course on World Music at Acadia University with Ken Shorley. What a joy to be able to share all of these cultures of music that I have lived and worked in. Indian, Chinese, Persian, Celtic, Latin American. We listened, found connections, learned about culture through music. Another intense three weeks! Then summer happened, my niece and nephew were born. My sister got married. I swam and jammed and spent time putting a new show together with Daunt as well as launching our new small business; Sahara Jane Collections. This is a line of Jewellery, scarves and shawls that Ji Myeng Kang and I started in India through designing and purchasing beautiful quality pieces made by our friends and communities there. Now Daunt has joined the project to help create colourful elegant pop up stores and markets around the East Coast. Every sale helps to support children in need in Varanasi though a project called DARE. So as winter approaches, we are preparing for some upcoming tours in Asia and we will be heading out to Christmas Markets to sell these beautiful pieces that I brought from India. Our tour bus is going to be a pop up shop for the fall, his name in Benji. I think he deserves his own post! Well, everything that has happened could have had it’s own post, but I was just way too busy to write. Soon I will introduce the lovely sweet bus.. when I have finished painting the interior!! Wow. Life is full and wonderful. It is a treat to be in Nova Scotia for so long. We will be back in Asia this winter and back in Canada next summer. I hope to see you all along the way! This April I am touring with my world fusion ensemble Blue Lotus Trio on Canada's West Coast!! In May I will be joined by multi-instrumentalist Daunt Lee from Newfoundland to tour our world folk sound back across Canada! Please join us on Salt Spring Island at The Art Barn, Golden Tree Farm, 150 Suffolk Road. Blue Lotus Trio is playing on Hornby Island at Sun Door Yoga, 8120 Central Rd. Hornby Island. Blue Lotus Trio is pleased to be collaborating with Sun Door Yoga for a special yoga class (taught by Eila). Renew and nourish your spirit with a beautiful, uplifting morning of yoga with Indian- and Middle Eastern-inspired music! Sun Door Yoga, 8120 Central Rd. Hornby Island. $20. This hands-on workshop will focus on exploring the beautiful resonance of the frame drum. Participants will learn basic hand and finger techniques, along with a selection of traditional, sacred and dance rhythms from the Middle East. $25 (includes evening concert). Creekside Commons, 2202 Lambert Dr, Courtenay. Produced in collaboration with Monica Hofer. Please join us for an intimate studio concert! $10 (suggested donation). Creekside Commons, 2202 Lambert Dr, Courtenay. Learn traditional Turkish and Arab rhythms, as well as popular belly dance grooves! $25 (includes drum and dance jam following workshop). The Gorge Community Hall, Cortes Island. Bring a darbuka, frame drum, tambourine, small djembe or another fave! An amazing summer in Nova Scotia, Canada wraps up a year of musical adventures with my bands and my solo show. I feel blessed to have been able to tour in India and China with Ask Your Sister, to have reconnected with Blue Lotus Trio for shows and workshops in Canada and to have shared the stage with so many great musicians from all over the world, including Daunt Lee (Japan/Newfoundland) who will be joining me on tour next spring! Playing with Blue Lotus Trio always busts our hearts open. This summer, we recorded 3 new tracks, preparing for our tour in British Columbia next April and our upcoming album. Ask Your Sister recorded a new CD this past spring which is getting lots of play on CBC radio and we are looking forward to reuniting for festivals and to share music together again next summer. As always, when we are apart, I am missing my sisters! This past year I have had the incredible fortune to be touring the world, playing great stages with my loved ones. This fall, I am back in Asia for some intensive study of Indian music and to spend some time composing. I look forward to reuniting with the Canadian folk circuit next spring as I tour my own show across Canada with support from Blue Lotus and Daunt Lee! Some people say that to "make it" in the business of music, you have choose one path and stick to it, perfect it, and eventually your time will come. Others say you must diversify and be able to play whatever is asked and go where ever the work is. It is funny that this conversation follows me everywhere I go, though I'm quite sure I don't bring it up. I suppose my very presence brings it up. And I appreciate that people who know me want me to do well and take an interest. Lately I am getting constant emails from CD Baby, and Radio Airplay and other online music platforms that are giving endless advice about how to get more fans, write a hit song, promote and become a mega success. This feels rather less sincere, but still sometimes can be helpful. Usually though, this discussion is the air that I breathe and the water I swim in, it is probably the same for any business. I am polite, I read the occasional article in my inbox, I agree with pretty much everyone. And still my life feels like the great unknown. We can all say after the fact what worked or didn't as far as making a living or having an effect, but business and art are always pushing and pulling each other. This is a good thing. It means that no one really knows. As soon as you know, the game changes, and advice becomes dim. The only things we can try to know as musicians, are ourselves in the midst of pressure to become otherwise, and those who really listen to the music. So my life in music is not a plan for the future, it is embracing the moment. Every day asks something particular, and every day I try to respond fully. Today I am loving Beijing. I must practice a song in Chinese for a show with Ask Your Sister. Today I am missing my home in India. 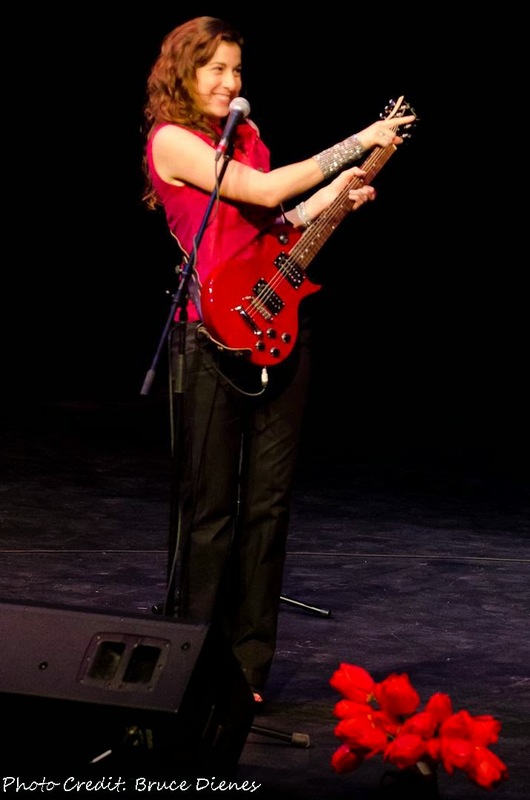 Today I am looking forward to being back at home in Canada, where soon I will have the chance to perform with Blue Lotus, my world fusion band. And always, I am writing and keeping the joys and heartbreaks with me in song form. They make the show. Today I feel both terribly diverse and completely focussed. Perhaps that is what everyone has been trying to tell me. Perhaps that is what it takes to make it. In anything. Mosaïq Multicultural Festival is a unique and colourful celebration of Moncton’s growing diversity. Come explore the World Village, where our many cultures showcase their traditions, music and dance, foods, arts and crafts, and so much more! Mosaïq vendors will offer mouth-watering foods from the four corners of the earth as well unique arts and crafts shopping opportunities. And you won’t want to miss out on the exciting multicultural entertainment line-up featuring talent from around the world and just around the corner. ASHK is playing at Sunfest!! This amazing festival is put on for free by the Sunfest Committee, a London-Ontario based, non-profit community arts group whose prime mandate is to promote cross-cultural awareness and understanding of the arts across a range of disciplines, such as music, dance and the visual arts. The Sunfest Committee presents thoughtful, innovative global arts programming that commands a very committed following. It aspires to hold a mirror up to its community in order to reflect the diversity and vitality of London’s burgeoning multicultural population. Basic Membership $10 / Silver Membership $35 / Gold Membership $75. visit www.sunfest.on.ca to find out more about the festival, membership and the amazing lineup!! 🇨🇦 Celebrate Canada Day with a trip around the world! 🇨🇦 ASHK is the latest project from the Nasr sisters who have teamed up with world percussionist Ken Shorley to take the audience on an international tour. This is a show not to be missed! 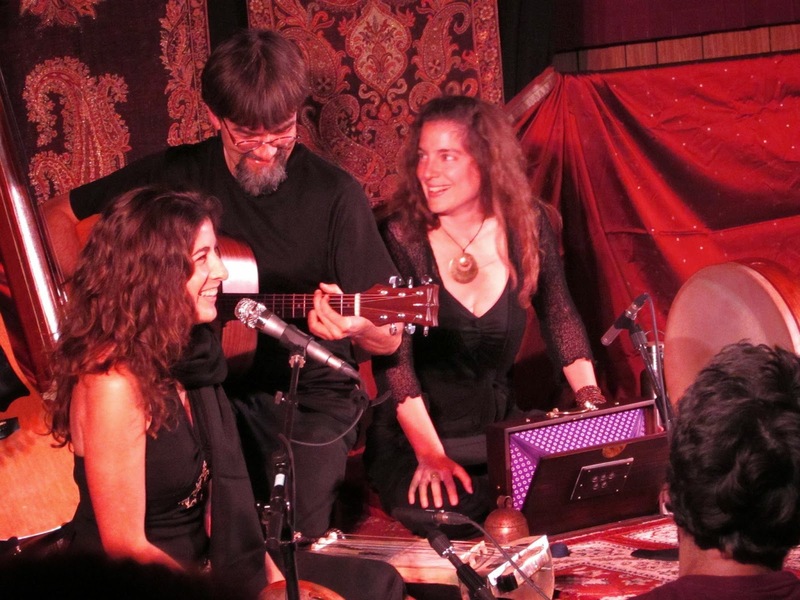 ASHK will be returning to the Al Whittle Theatre to present world music in four-part harmony this FRIDAY June 23! Tickets are $20 regular, $15 students/low-income. They are available at Box of Delights Bookshop in Wolfville, online from http://www.ASHK.ca/tickets or at the door (if still available). Doors open at 7:30. ASHK is the Nasr sisters who have teamed up with world percussionist Ken Shorley to take the audience on an international tour. Ariana brings us to France, Eastern Europe and beyond, hearing the sounds of Edith Piaf, the Roma, and the Balkans. 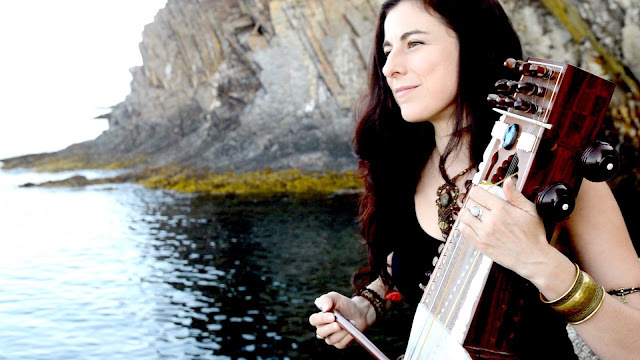 Sahara explores the music of India and Persia, sharing Sufi poetry of Rumi in her own compositions. Kamila brings us to Portugal through Fado, to Brazil with hip hop and treats us to original Afghan-Celtic fusion. The versatile Ken Shorley will transport us to the Middle East, South Asia and Turkey as he flows effortlessly among instruments and styles. 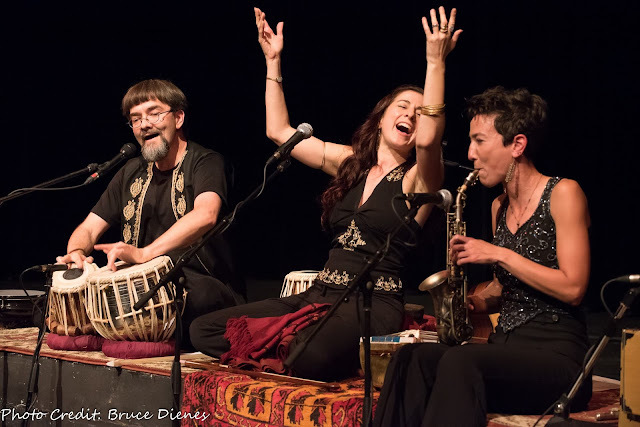 ASHK's performance is powerful as they sing most selections with three or four part harmonies and perform with an impressive array of both eastern and western instruments. This is a show not to miss. ASHK is the latest project from the Nasr sisters and Ken Shorley. 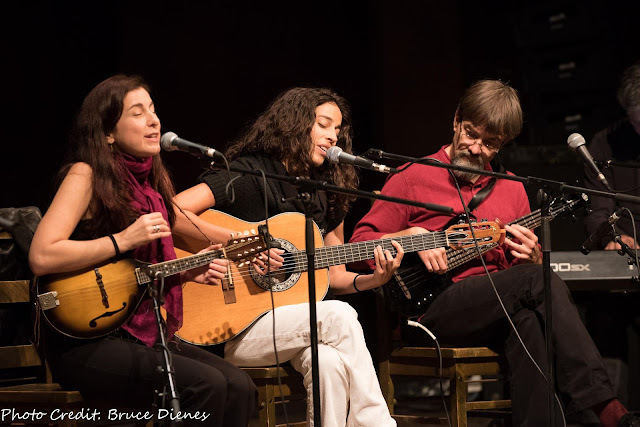 Ariana, Sahara, and Kamila Nasr, together with Ken Shorley are Wolfville locals who have all devoted their lives to music. Their curiosity and passion have taken them all over the world. They have learned from great teachers in many countries, and they now perform music in multiple languages and styles, playing a variety of instruments. The name of the group, ASHK, means “love” in Turkish and “tear” in Persian. The show takes us on an international tour as we follow Ariana to France, Eastern Europe and beyond, hearing the sounds of Edith Piaf, the Roma, Israel, and Russia. 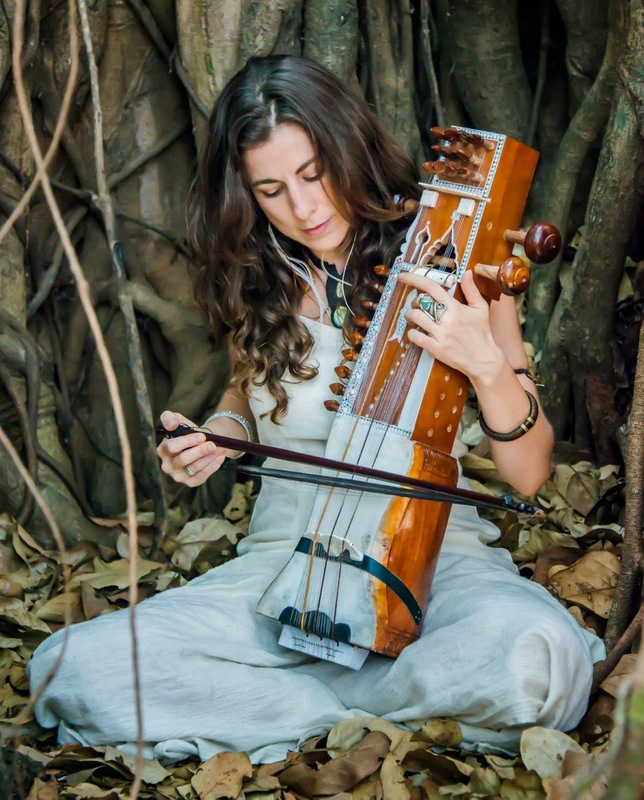 We will join Sahara as she explores the music of India and Pakistan, the Sufi poetry of Rumi and as she crafts her own blend by mixing these styles with English folk music. Kamila will bring us to Portugal through the Fado style, to Brazil with hip hop and treat us to Chinese pop and Afghan-Celtic fusion. The versatile Ken Shorley will transport us to the Middle East, South Asia and Turkey as he flows effortlessly among instruments and styles. Join us for an evening of World Music as we come together to share the music that most inspires us! This intimate matinee concert with start at 3:00pm and tickets will be by donation. It is a fund raiser for the children of DARE Varanasi who have asked me to come and see them and teach them music at the end of March. It is my last show in Nova Scotia as I am leaving soon for India. I will also have my mobile shop, Sahara Jane Collections, set up at 2:00pm so people can purchase beautiful woolen and silk shawls and brass jewellery with part of the proceeds going to support DARE.